LoveLove Films are delighted to announce that Chin Up is a finalist at the 52nd WorldFest in Houston, Texas. Our animated documentary Chin Up has been listed as a finalist in the Animated (Clay & Other) category at the WorldFest International Independent Film Festival. This year’s festival takes place between the 5th and 14th of April at the Cinemark Theatres in Memorial City, Houston, Texas. Founded by award-winning producer and director Hunter Todd, WorldFest is one of the oldest film competitions in North America. The festival has a dedicated commitment to recognising and celebrating excellence in film and video, boasting an impressive list of previous winners including the Coen Brothers, Spike Lee, Steven Spielberg, and many more. 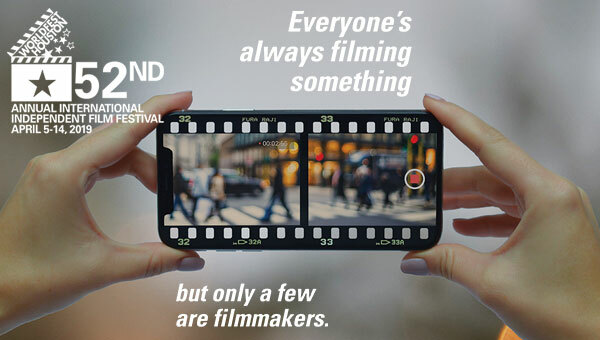 Over 1000 filmmakers from all around the world attend the WorldFest every year, and the festival’s staff and management are all filmmakers themselves. WorldFest is also one of the largest film festivals in North America. In 2006, the festival received over 4,500 entries from 37 different countries. This year, WorldFest will continue its annual Short Film Showcase, which spotlights independent short films. With just 15-20% of the overall category entries winning awards, LoveLove films are incredibly excited that Chin Up has been listed as a finalist in the Animated (Clay & Other) subcategory. Chin Up is directed, narrated, illustrated and animated by LoveLove’s own animator JoAnne Salmon. It tells her story of being born with Treacher Collins Syndrome and achieving her dream of working in animation. The animated documentary was created using a 2D mixed media approach; childhood photos were combined with stunning illustrations and animations to provide a valuable and moving awareness of growing up with a visible disability. The project was first conceived as a proposal to MOFILM’s brilliant ‘Many Voices’ initiative, in which filmmakers from all around the world responded to the question ‘What does the year of women mean where you are?” Chin Up was later confirmed as a winner of MOFILM’s competition. Chin Up’s selection as a finalist at WorldFest 2019 follows several recent acknowledgements, including an RTS Award for On-Line Production and official selections from international film festivals Annecy, AmDocs, and Athens International Film Festival. Chin Up has also been featured in a Campaign Magazine article.